Faithlife Sites works together with your free church group on Faithlife.com to keep your contact information up-to-date. Because they are connected, you can update your contact information from either your website or your church group. The information will automatically populate to your site and Church Group. And if you want to provide alternative contact information anywhere on your website, it’s as easy as adding a widget. 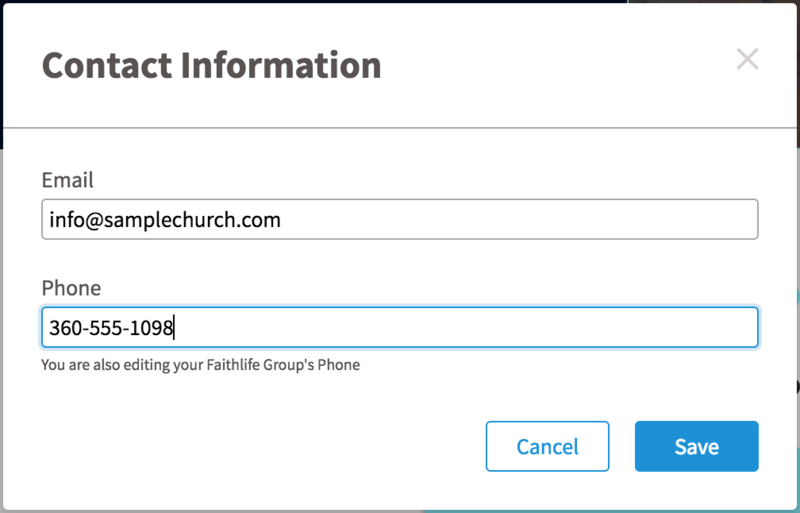 To update your contact information from your Church Group, navigate to faithlife.com, sign in, and locate your Church Group. Select the group’s settings icon. 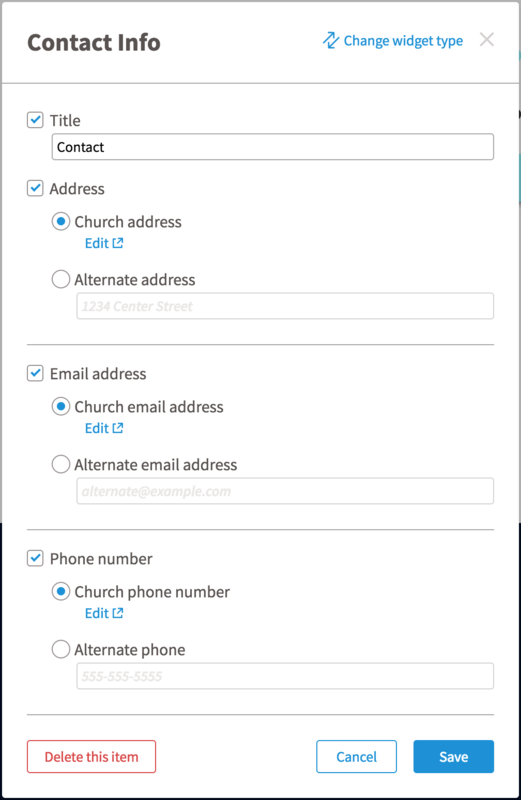 Expand Contact Info and provide your church’s information. 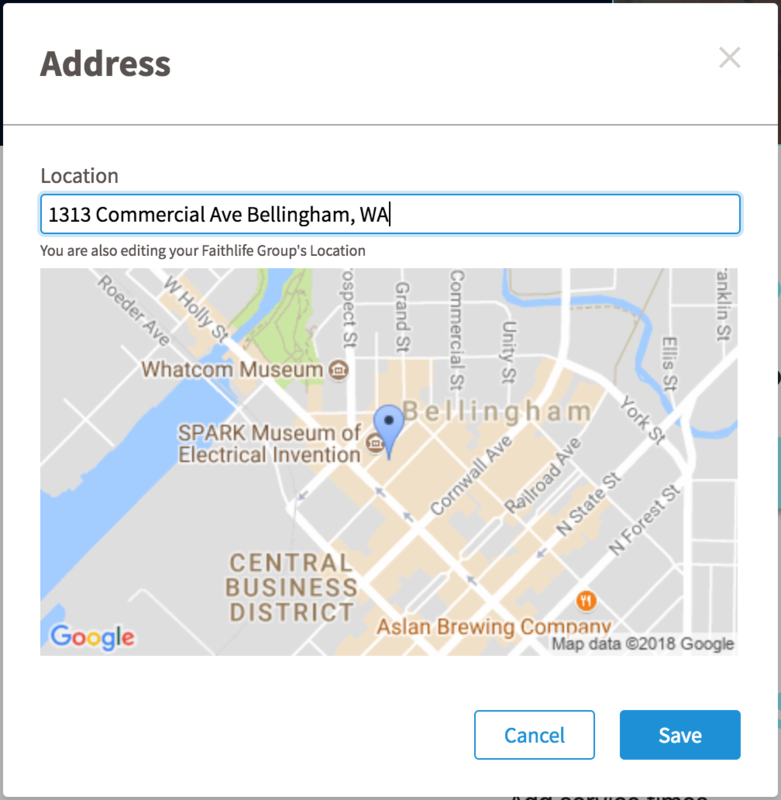 Expand About Your Group to add your church’s location and a description. When you’re done, click Save Settings to secure your changes. Because your Church Group is linked to your Faithlife Site, any changes you make here will auto-update to your website. To update your contact information from your Faithlife Site, navigate to your church website. If you’re not logged into your Faithlife account, click Sign in. Once you’ve signed in, click Edit Site in the top right-hand corner of the webpage. 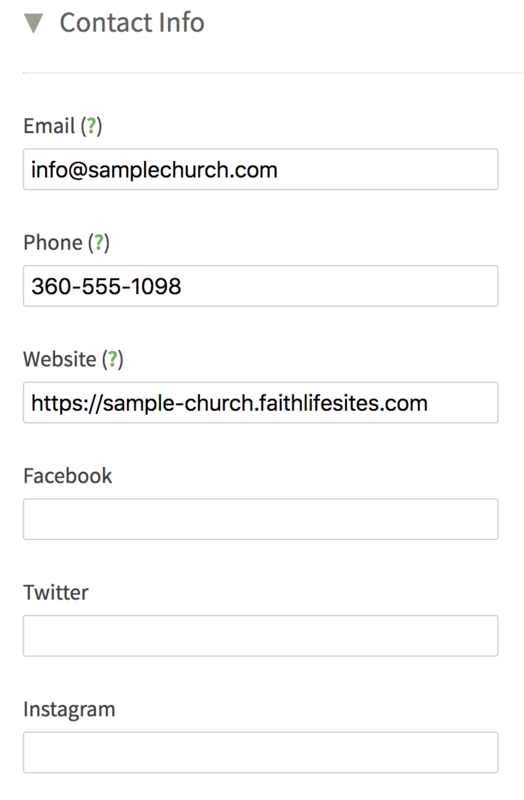 The footer of your site contains built-in sections for your church’s address and contact information. Select the blue edit icons to add your information. Note that because your website and group are connected, when you edit your address from your website, “you are also editing your Faithlife Group’s location.” Click Save. Repeat the process for your contact information. Click Save. To make the changes go live and populate to your Faithlife Church Group, click Publish changes. You can add your contact information anywhere on your website via widgets. Select any blue plus icon to add another contact widget. To add your current church address, email address, and phone number, click Save and then Publish changes. 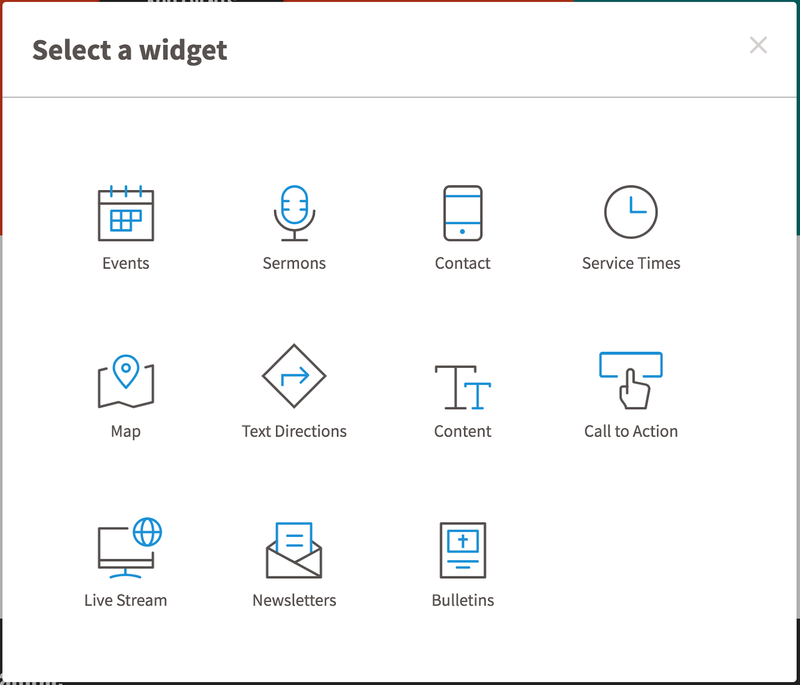 Whenever you update your information, it will automatically populate to every contact widget on your site in addition to updating your Church Group’s information. Update anywhere to update everywhere. You can also provide alternative information, which will live in this single contact widget. Remember, to make any changes go public, you’ll need to Publish changes.